Already a Thrive member? Head here to log in to the course. Overwhelmed by all the health and nutrition information out there regarding your child? Not sure where to start and you crave simplicity? Ready to get on board the positive food experience train, but unsure on how to actually implement it into your family’s lives? Dinner time makes me want to scream… Do you feel frustrated with your fussy eaters? Making different meals just to get everyone fed SOMETHING? Sick, again?? Surely not. Are your children constantly getting sick with coughs and colds? Do your children struggle to concentrate at school or on activities or heck, even on dinner? Are you doing your best to raise a healthy family at home but all your good work goes challenged, or comes completely undone at the never ending junk-laden social gatherings? Imagine cooking ONE meal for everyone at dinner… Impossible, yes? It doesn’t have to be. Can food rules bend…? Absolutely (yes, really) – because who makes up ‘food rules’ anyway?! Find a relaxed balance between giving your children a healthy foundation, without giving them food anxiety or fear around non whole foods. Picture this: You’re having a family dinner. It’s been a long day. You’re tired. You put the plate of food in front of your little ones. You hope they aren’t going to freak out about the ‘green stuff’ in it. And hey presto! They don’t! And not only that, you’re all enjoying this mealtime together – everyone is super relaxed and happy and having lovely chats and the odd giggle. You light a candle, you play music and you think "Wow. We did it!" THIS is what we want for you regardless of the challenges you're experiencing. It doesn't have to be perfect, whatever perfect means, but food was never meant to be a massive stress - food was meant to be a way for us to come together with the people we love and share something yummy together and reflect on our days and talk about our tomorrows. We want to help you get to that place. Why is this scenario all too rare in family households? Glad you asked. We believe it’s because parents need far more support than they currently get when it comes to food education. Once upon a time food was just food - produce from farms and seas. Now, food is weird stuff, packets of stuff, produce and produce grown not always optimally... There's WAY more to try and figure out and not only do we need to do that for ourselves but then for our kids... So, we'd like to think of ourselves as your health coaches who have done a lot of work with families and in our own families to figure it all out and that we're kind of like a guardian angel sitting on your shoulder to steer you in the right direction when it comes to giving your kids a great food education and appreciation for great, real food - in a totally fun way: not a ‘you must eat this’ restricted way. Urgh, the very thought of a strict food approach even makes us want to rebel. So if you feel like you want that support to nail this and get a solid framework happening, then THRIVE is absolutely for you! It can be so easy to lose your way. Yep, we’re talking about the supermarket checkout (they don’t call it ‘pester power’ for nothing), the confusing food labels, the addictive powers of sugar, and the sheer lack of time when it comes to putting nutritious food on the table (let alone in the fridge as snacks). A huge part of the Thrive course is about helping you with those conversations with your kids, so that you're not 'yes you can / no you can't-ing' all the time, but really helping them understand the WHY as they grow up to then make their own choices. Think you might already be needing this? You can jump in right now, and start today with our self paced version of the course! 10 experts the best in their field focusing on specific topics to support your children to thrive and your sanity! for the price of visiting 1 practitioner! 4 BONUS INTERVIEWS With experts in children’s health, on toddler nutrition, kids and sleep, kids, allergies and eczema and common sense food rules for kids. - Dr Ron Ehrlich, Holistic dentist discusses the vital role of healthy jaw formation, the importance of their breathing, and how to maintain great oral health. $149 AUD one time investment for the bumper version of the course with all the trappings and facebook chat group to connect with like minded parents! UPGRADE - Give me the lot for a one time investment of $149AUD! Here's what we cover in detail! It may feel like it now, but truly, it’s not all gloom and doom. Things are about to get so much better, that it will make you want to do hi-fives and backflips. Or at least smile at the screen while we all do that virtually in the Facebook support group. We cover 10 topics in depth and with practitioner interviews to support with science and clinical experience. Pantry Staples, Produce Staples and breakfast - thinking outside the cereal box! Fussy Eating and getting kids in the kitchen! Family meal time - Why it is critical to your child's real food education and SO much more! Nutrient Density - What it is, what it can do for you and your kids, HOW to pack those nutrients in! How to do real food 'out there' when socialising or having to gently approach a disagreement with a canteen situation or accommodate a food intolerance or allergy for your child out and about. We don’t want to be a downer, but the reality of our kid’s health is bleak. Chronic disease amongst children has never been higher. Diabetes, auto-immune disease, and chronic infections are on the rise. Intellectual and behavioral development are also being impaired. It seems every second child has eczema, asthma, an allergy or intolerance and we all know this was NOT us when we were kids. Food plays a huge role in our body's resilience building blocks, so not only are we doing this to make the dinner table experience more pleasurable, but we're doing this for the potential of our children and theirs down the track, to THRIVE. It’s time to turn things around – because there is SO much we can do as parents. THRIVE definitely isn’t about scaremongering or guilt trips. It’s about saying to you, ‘we can do this together’. BUT HOW LONG WILL IT TAKE OUT OF MY DAY? 1.5 hours for each topic will mean you get to read all the materials, watch the interview and have a chat or ask questions in the private chat group. Imagine 1.5 hours x 10 topics and then a life time of food confidence? Yes, that's what the return on investment is. So exciting, right? Now, this course may not always be easy, because learning new things, setting boundaries, taking the time to explain these boundaries to our kids can be a challenge. Sure. But what it WILL be is absolutely worth this time taken. A short amount of time for a big life-long return on investment. You really can turn your family’s eating habits around, and we promise you, you’re not doing this alone! We will support you every step of the way, and so will our non-judgmental community of some 1100+ ‘Thrivers’ – who were once in your shoes and have not looked back since. Meet some of them down below in the testimonials. Real Food is the only ‘food’ recommended during the THRIVE program. While we can’t adapt every single ingredient to all the various needs, you can adapt and swap out things based on preference and dietary need for many of the recipes and just don't use the recipes you don't need. The meal plans aren't for you to follow to the letter each day, three times a day, but more of a value add if you're looking for inspiration as you incorporate more whole foods into the mix. Everything recommended is a whole food approach. No refined flours, sugars, additives, preservatives or artificial colours – but a guarantee of deliciousness. Understand the role food plays in preventing and reversing disease. Get the low-down on top tips for handling even the fussiest of eaters. effortlessly feeding your family life-giving, nutritious food at every meal, including snacks! Learn a new language - AKA reading food labels. Kids love learning this stuff – who would have thought it, right? Tame the trolls - Navigate negativity from the outside world, as you make better food choices. Learn the foods you need to ditch and the foods you need to enrich your family’s pantry and fridge forever. Get your time back - “I wish I had less time”, said no mum ever! Learn how to save time and effort in the kitchen. Halt the “Muummm, I’m hungry” howl in its tracks and end the ‘bottomless pit syndrome’ by turning the food your kids already love into a powerhouse of nutrient-dense goodness. 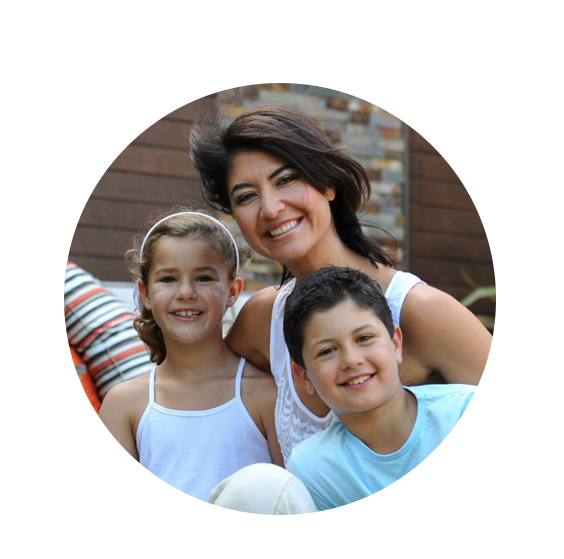 Become a triple-threat - achieve better physical, mental and emotional health for your family. BOOM! Pull the wool from your eyes - Learn the importance of avoiding food additives and preservatives, and the main offenders to look out for. Spot the signs - recognize food allergies and intolerances upfront and know what next steps to take. Connect the dots - check out the common foods linked to Type 2 Diabetes, auto-immune diseases, skin issues and asthma. Ten topics available as soon as you register, and also delivered over 10 weeks with weekly reminder emails as a gentle nudge to ensure you're making the most of your investment. Information in all the modules can be applied to any stage of childhood, from baby right through to late teenage years. Lots of recipes that are family favourites - no-fuss recipes for breakfast, lunch, dinner and snacks. A comprehensive pantry staple list with all our researched and recommended brands. Simple daily tasks to complete to help you implement positive and sustainable changes. Access to your private facebook group where you can connect with a likeminded and supportive community to discuss the topics as they roll out. This is also where you can openly share challenges, progress, wins and ideas. Two crazy excited cheerleaders? Check. Yep, your personal cheerleading team is at the ready. We are your health coaches and we know you can do this. You'll see us in the group from time to time as well as having the experience of many Thrive parents gone before you through the course, to workshop challenges and assist with resources. Email check-in. You will have access to the whole course from the get go, but to help keep you on track we’ll jump into your inbox weekly to introduce a topic, some learnings, additional resources, links, interview and tips for implementation – as well as goal setting. This will pop straight to your inbox via an email with a link to your member-only course site. Follow along with us or go at a pace that suits you. Facebook love-in. Get lifetime access to the support group to keep you on track throughout the course, and once you've completed it. It’s the gift that keeps on giving. THRIVE IS A LIFE-CHANGING COURSE AND WE CAN’T WAIT FOR YOU TO GET STARTED! Alexx Stuart and Brenda Janschek. I’m Alexx Stuart. 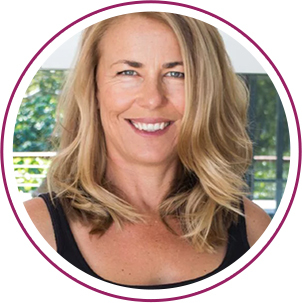 I’m a certified health coach, speaker, author of the best-selling book "Low Tox Life" and relentless campaigner against ‘weirdo packets of fakeness’. And to be clear I'm not against anyone who eats junk or additives, but more against the system that lands it in our laps in the first place because it's not our fault and we have everything in our culture pitted towards us eating PRODUCTS not PRODUCE. At the end of the day, I’m determined to hand the world down to all our beautiful little people in the best shape I can and raise my little guy as strong and healthy as he can be. 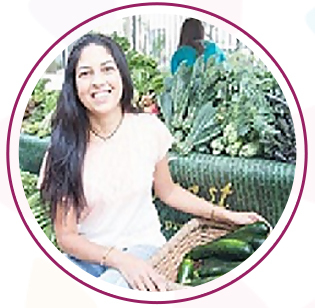 I do this through my Low Tox Life website hub – a place to help people connect the dots between their health, the planet’s health, and the many delicious things we can do to care for the two together, while truly enjoying life. I’ve been the guilty, shamed diet type while trying to figure things out for myself. I’ve been chronically unwell. I get it. There’s no shame or guilt in my coaching. Your pace, your way and we must get excited about what we’re changing today, however small the change may be, rather than feeling guilty about what we didn’t know before. Oh, and I’m not about to stop you from having your cake, too! I love cake! And I’m Brenda Janschek. I too am a certified health coach, wellness blogger, recipe creator and passionate advocate for women’s and children’s health. 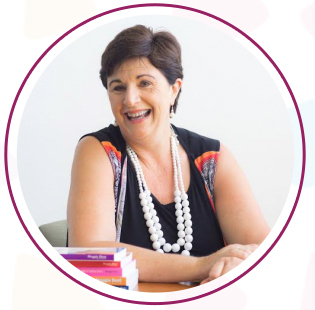 Through my workshops/cooking displays, coaching, kids cooking classes, kitchen makeovers and e-courses, I endeavour to inspire and empower positive wellbeing in families across Australia and beyond. I’m a busy mum of a teen and a tween and spend half my life as a taxi driver, ferrying them around to their extra curricular activities as well as cooking for their fast growing bodies! 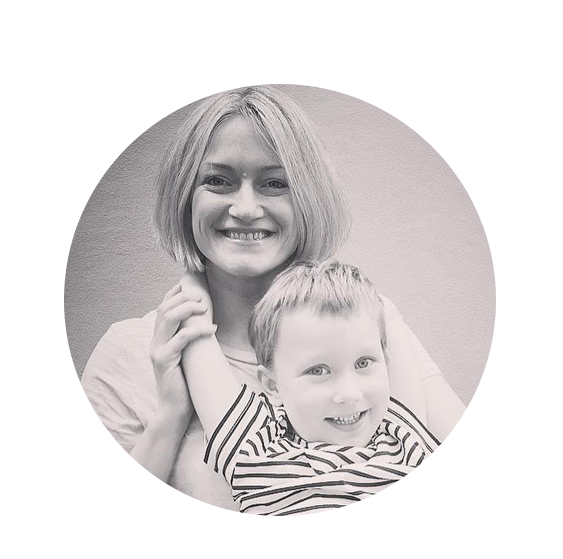 I’m a regular contributor for Fairfax publication Kidspot, tackling some of the trickiest topics we must navigate as parents, and it’s such a joy to witness the lightbulb moments I see in my work both in the articles I write and the courses I run, as well as in my online community. Together we have created a course to help answer all of the questions you ask us each day in our own communities. THRIVE is bursting with information to help you promote robust health and vitality through all the stages of your children’s life and will give you the tools to take your current situation up as many notches as you need and desire. Fancy hearing from our alumni parents? This year has been a big learning journey & I had two very fussy eaters who were being dragged along for the ride. I'm happy to say that I no longer buy processed breakfast food & make all breakky from scratch. We have had no sick days this year & not one trip to the doctor. It's nice to sit here tonight & reflect on the year & realise how far we have come. Thanks again Brenda & Alexx. I'm so happy I managed to pull together a healthy meal tonight with almost nothing left in fridge. Never would have thought to put all these things together before this course - wilted chard turned into chard version of kale chips, frozen peas steamed and tossed with butter, sweet potato steamed then sauteed in coconut oil, and salmon defrosted from fridge, dredged in eggs my little man broke open and whisked himself, then tossed in leftover spelt bread turned into crumbs with dulse flakes and lemon rind and fried in coconut oil. Little man went mad for the chard chips dipped in some yoghurt, not sure he had much of the peas or sweet potato, and only two pieces of salmon, but its much better than a month ago, and Daddy and I are laughing he just downed a previously loathed green veg! Can't thank you enough Alexx and Brenda. Make time for the body image interview it was AMAZING!! Running out of time i was going to skip it as my daughter is only 3 and i thought i could learn about it later... I was just so inspired and learned a lot to think about, even now as an adult. Very wise man David is, thanks for finding him girls!!! I just watched the video with Dr Gina Martins!! Aaaaaggghhh Thrive! Where were you 3 and a bit years ago when my first born would scream the house down for hours every night, and throw up most of the milk that I would lovingly and painfully spend hours feeding to her?? Thank you. Amazing. I need to send a huge thank you and a hug to you all - Alexx, Brenda, Simone, and all of the other brilliant experts who contributed, and of course all of the Thrivers!! I seem to have a totally different child now and I am loving it. I am loving the support group for so many reasons, but one big one is that my Facebook newsfeed is so positive (but also so real, everyone's struggles are just as helpful as successes because we can learn from each other, and feel normal too! ), filled with parents who are striving to give their kids the best nutrition. It inspires me to keep on keeping on! Thank you everyone and Brenda and Alexx. A huge thanks for this course. It red flagged some suspicions I had about both myself and our youngest daughter and now has us all eating even more healthily than we did. Naturopath and mum to 2 speaking about hidden common deficiencies and how to ensure our kids are getting what they need. 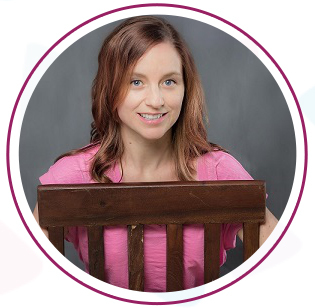 is a chiropractor with 20 years experience, writer, speaker and mother of 2. 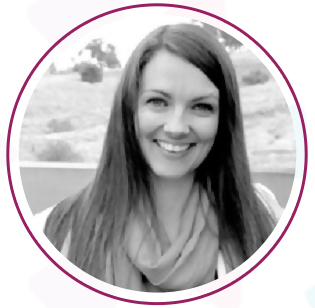 She will share her passion for helping families join the dots between structural, nutritional and emotional adjustments and how this helps us become more balanced, connected and thriving. 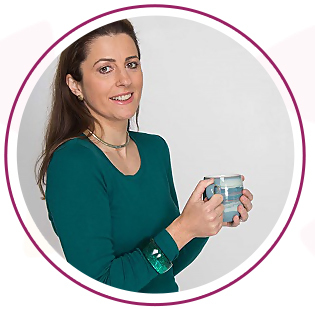 Simone Emery is mother of 1 and a food technologist and children’s feeding expert with training in feeding therapy. She particularly focuses on fussy eating behaviours. Sharing her own additive free journey to inspire change… because our children are worth it! Consultant Pediatrician and public health specialist focused on disease prevention through healthy nutrition and lifestyle. David Bedrick, J.D., Dipl. PW, is a counsellor, educator, speaker, author and attorney. He is an advocate for positive body image and provides interesting insights on how this affects our children. 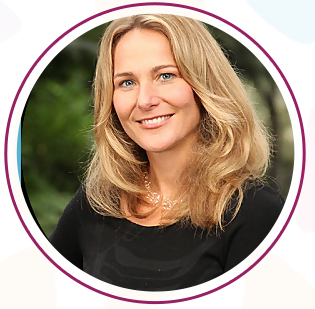 Dr Deirdre Ryan holds a doctorate in clinical psychology, is an author and Principal Clinical Psychologist at Aruna Psychology. 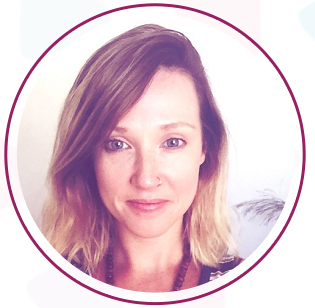 Deirdre currently works as a Clinical Psychologist at The Royal Children’s Hospital and at Headspace, The National Youth Mental Health Organisation. As part of her special interest in Eating Disorder prevention Deirdre co-authored a children’s book ‘The Magnificent Toby Plum’ which aims to enhance self-esteem and promote positive body image in children and a love for each other’s differences. 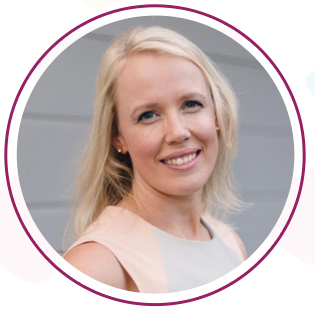 Accredited Practising Dietitian, Nutritionist and Positive Body Image Advocate. Passionate about exploring the link between how we feel about our bodies and the decisions we make about food. Strives to help people have a healthy and peaceful relationship with food and their body. 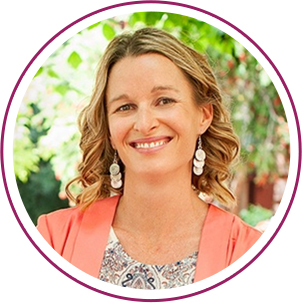 Commonly known as Australia’s ‘queen of common-sense’, Maggie Dent is an author, educator, and parenting and resilience specialist with a particular interest in the early years and adolescence. She is the author of seven books, mother of four wonderful sons and a very grateful grandmother. Maggie shares her wisdom on how to help our children make positive decisions around food, how to avoid creating fear around food, how to build resilience when our kid’s food choices are different from others plus the importance of rituals and family meal time. B.D.S (Syd Uni) FACNEM (Dent) Dr. Ron Ehrlich, or ‘Dr. 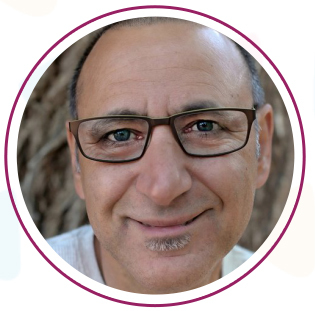 Ron’ as he is affectionately known, is one of Australia’s leading holistic health advocates, educators, a broadcaster and a holistic dentist. 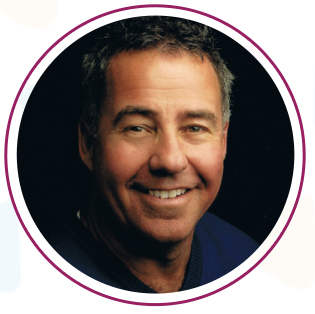 Over 30 years of practice Dr. Ron has developed his health model of how stress affects our health; breaking stress down to emotional, environmental, nutritional, structural and dental stressors. The model has shaped Dr. Ron’s keynotes, lectures and workshops both in locally and internationally. We discuss the vital role in healthy jaw formation in kids, how to get them breathing beautifully and how to maintain great oral and overall health. 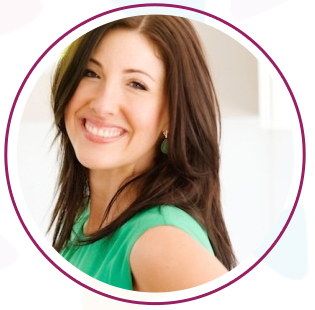 Nutritionist and champion of Nose to Tail eating philosophy, put in practical terms, Georgia passionately crusades for us to experience the best health we can – She radiates it herself and shares with us critical information on getting those first couple of years of feeding babies and toddlers to be the best they can be. 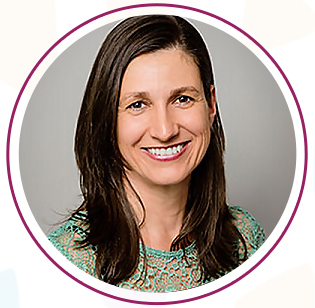 Naturopath who specialises in kid's gut health, allergies and intolerance, helping us navigate these too-common occurrences in our kids today.